KINTYRE: A female Brambling in Alasdair Paterson’s garden in Carradale today. 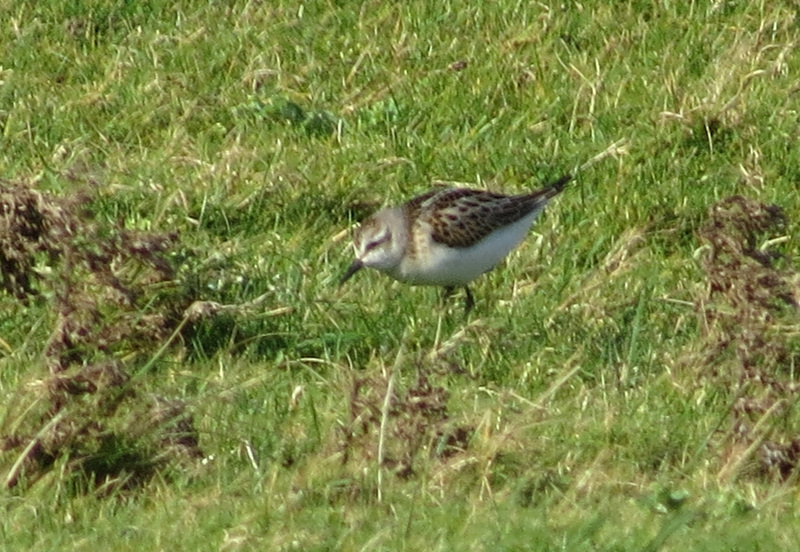 ISLAY: A Juv Little Stint was at Machir Bay today with Sanderling and Ringed Plover (Gary Turnbull). 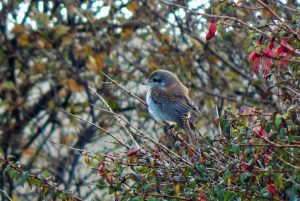 TIREE: 1CY Red-backed Shrike still at Heylipol church for its 17th day! 1 Greenland Redpoll, 7 Common Redpoll, 1m Blackcap, 1 Willow Warbler, 2 Chaffinch and 20 Redwing at Balephuil / Carnan Mor (John Bowler). More groups of Whooper Swans (including 18 dropping in at The Reef) and Barnacle Geese dropping in (33 in 4 groups), 1 Wheatear at Balemartine, 1 Swallow at Vaul, 32 Redwings elsewhere (Jim Dickson). 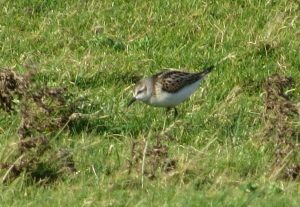 Juv LITTLE STINT – Machir Bay, Islay 10th Oct (Gary Turnbull). 1CY RED-BACKED SHRIKE – Heylipol, Tiree 10th Oct (John Bowler).